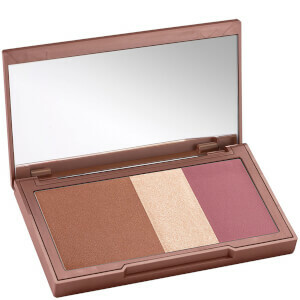 Enhance your complexion with Urban Decay’s Naked Flushed Face Powder in Nooner, a trio of pressed powders presented in a stunning mirrored compact. 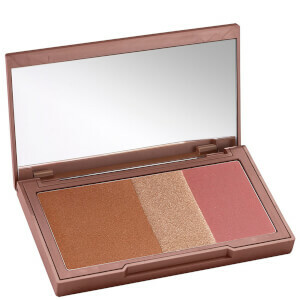 The set comprises a blush, bronzer and a highlighter to colour, contour and illuminate the skin. Formulated with micronized, jet-milled powder, the ultra-light Flushed Face Powder will give a flawless finish to any skin tone and type. Light-diffusing particles will keep your face fresh-looking throughout the day and night. The sleek, magnetic case of powders is a makeup bag essential and perfectly compact for taking out and about when a touch-up is required. Usar las sombras por separado o mezclarlas. Talc, Zinc Stearate, Dimethicone, Squalane, Glyceryl Caprylate, Nylon-12, Boron Nitride, Silica, Magnesium Carbonate, Lauroyl Lysine, Alumina, Triethoxycaprylylsilane, Tin Oxide. 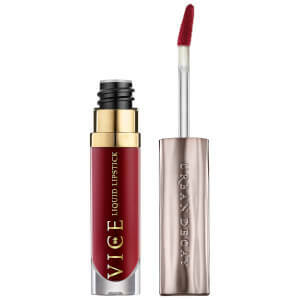 [+/- (All shades may contain /Toutes les couleurs peuvent contenir): Mica, CI 77891 / Titanium Dioxide, CI 77491, CI 77492, CI 77499 / Iron Oxides, CI 75470 / Carmine, CI 45410 / Red 28 Lake, CI 77007 / Ultramarines, CI 73360 / Red 30 Lake, CI 15850 / Red 7 Lake, CI 77120 / Barium Sulfate, CI 19140 / Yellow 5 Lake].